Back to school time brings home beautifully crafted artwork from the kids. It’s priceless, but what to do with it? Here are my tips on how to save childhood artwork and what I do in our household. Hang the artwork in a special place when it first comes home. I have a small wall next to the refrigerator that I tack the latest masterpiece onto. After artwork is displayed for a week or so then spray drawings and artwork with hairspray to keep colors from fading and smudging, the sort and store it. Kids love to have their creations displayed. I have the twins playroom upper wall lined with the artwork they did in their first artwork classes at the age of 3. I love to see it and they feel very special seeing it is still displayed. They are SO proud to have their creations displayed in a prominent way and I enjoy them too. 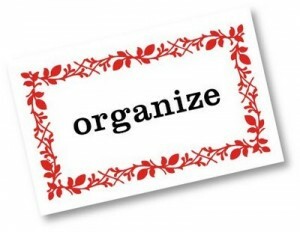 Sort and store artwork in these ways. Share and send it to Grandma or Grandpa with a note from the kids. 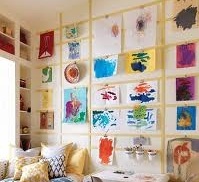 Take a few of them to the kids playroom (or use their bedroom) and make a “border of artwork” around the top of their wall. 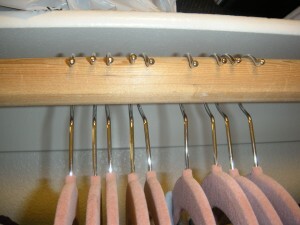 Use a simple method of string and colorful clothespins. Get the kids involved: buy clothespins at the dollar store, let the kids paint them and use those pins to clip the artwork onto the string. Some of the big milestone pieces or extra special ones I keep. Date the back of the piece. I have a special portfolio to keep these special ones in tact. When to ditch or fix an appliance. Keep it~ if it leaks or if the glass pitcher cracks. If it leaks and you sure the bottom is screwed on tightly? Check the gasket (the rubber piece at the base of the pitcher) if it’s damaged, order it for $1-$4. If the pitcher is cracked call the manufacturer and order a replacement pitcher or check on Amazon. Junk it~ if it smells like it’s burning when you turn it on. It’s likely a fuse has overheated and shorted out, which can cost $15-$20 to repair, it’s smarter to just get a new one. Keep it~ if the lever jams. Food is probably stuck inside. Unplug the toaster and turn it upside down to shake food out. Junk it~ if it won’t heat up. It could be the cord or the heating element has stopped working and either problem would be costly to repair; get a new one. Keep it~ if it isn’t picking up dirt or if you smell burnt rubber or hear a groaning sound, change the bag or replace the filter. Check the hose and see if it is clogged. If it isn’t picking up dirt, you can use an air compressor to blow the vacuum out and clean the inside of the vacuum. Unplug the vacuum and check for something wound around the roller bar; this causes the smell/sound. If the belt is damaged you may need to order a new one, try Amazon.com or check the owner’s manual about calling the manufacturer for replacements. Junk it~ if it doesn’t turn on. The motor might be broken, and if it’s no longer under warranty, a repair may be very expensive. You can get an estimate but rarely is an estimate free. I suggest buying a new one. from water, which can be expensive to repair; buy a new one. In the future, once you get a new machine, clean it with a brewing of 50% vinegar/water every few months. 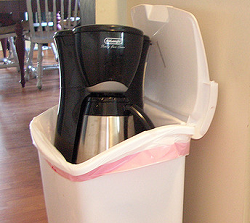 This vinegar/water mix will help prevent the build-up of minerals and help your coffeemaker last longer next time. If it won’t turn on or heat up then the on/off switch could be broken. You’d need a repair person to mend it, which can get expensive; buy a new one. I have ordered small parts from the manufacturer many times, so I could continue to use my appliances, from new blades for food processors, new drain plugs or wheels for a large portable fan. 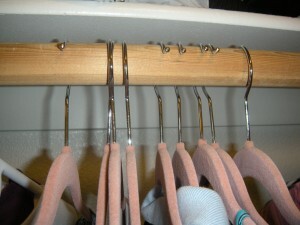 Often the manufacturer has sent the part for free or for minimum shipping cost. Once my 3 year old floor sweeper was no longer holding a charge and just by calling and talking to the manufacturer, I was looking for a new battery pack, instead they replaced for free! It was worth $100!! Amazon has been a go-to place for me for some parts also. Do you have anything to add to this article or suggestions? Please share your tips on when to ditch or fix an appliance. 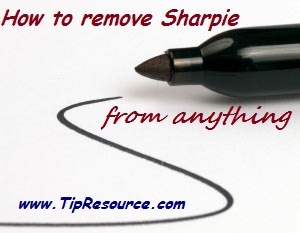 How to remove Sharpie from anything (without damage)! I love Sharpies, every color and every size! From experience, I learned how to remove Sharpie marks without damage from just about anything!! If you have little ones in the house I would suspect they l-o-v-e Sharpies too! No matter how high or well hidden these exciting & tantalizing markers they will find them. and all your favorite things will be decorated with masterpieces. Last weekend while at my friends house she found her kids coloring a beautiful picture using Sharpies on her newly refinished furniture. It was white and the Sharpie was black. I told her my tried and true method for removing marker without damaging the finish is to use GOO GONE or GOOF OFF . They are only a few bucks, come in small bottles and can be purchased everywhere (Walmart, Target, Home Depot, grocery stores, Amazon.com). She used some and it worked perfect!! No damage, all marks are gone and you would never know one ever existed. I use GOO GONE or GOOF OFF to get Sharpie off the kids water bottles that I label, off walls, even on fabrics without damage! I just got a chocolate stain off Lindsey’s dress this morning. Other ways to remove Sharpie marks: nail polish remover, hand sanitizer, alcohol wipes or plain rubbing alcohol, magic white erasers. However, I have found all these ways are not as effective as GOO GONE or GOOF OFF and these other methods CAN cause damage while leaving residual Sharpie marks. Empty tissue boxes can provide easy and handy storage for plastic grocery bags. My favorite ones are the stand up taller boxed because the stack in the cabinets nicely and fit into my kitchen drawers perfectly.